Learn how to trade stocks as a new trader. Many proven studies suggest that stock trading is amongst the fastest way to make money. There is no shortage of options when learning how to trade stocks. For new traders, the options can be overwhelming, so it’s a good idea to depend on professionals. That means when planning to learn stock trading, a study from a professional institute. 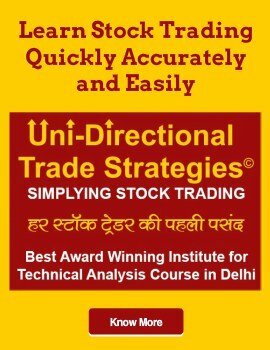 Learn how to trade stocks with popular stock market courses in India. The stock trading classes will help you become a smart trader. Stock market traders for beginners can be quiet overwhelming. Beginners need to comprehend shares, stocks, and learn how they can buy or sell shares in the market place. It’s crucial to educate yourself before you wade into any form of investment. Learning how to trade in stocks offers both basic and practical knowledge. Although, practical knowledge empower expertise in trading securities. For instance, option contracts, currency trades, mutual funds, commodity, equity, etc. 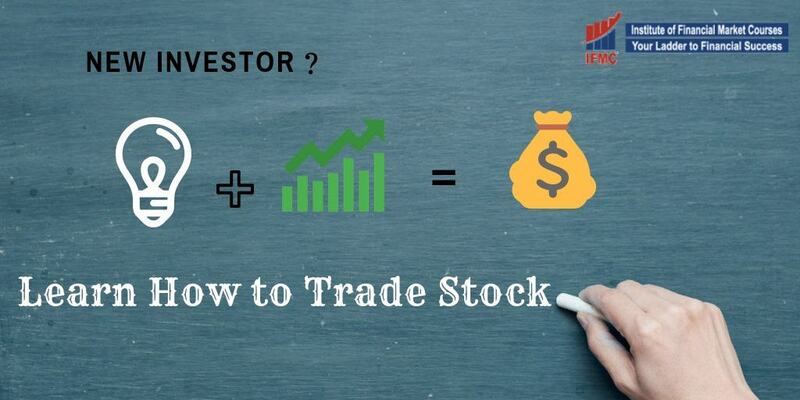 Fortunately, during the process of learning the stock market from the IFMC Institute beginners course, will assist you to start with the basics of the stock exchange market. Stock market course for beginners course studies the fundamentals of the stock market. The online course will give you a starting point and walk you through several processes. Beginning from: choosing the right broker, types of stock trades, how to select individual stocks, uncovering hidden fee, and more. Before you start trading career, you need to learn preliminary techniques and tools. The fundamental knowledge will help you succeed. Investing in a comprehensive course will help to gain expert knowledge and become a skillful trader or investor. The excellent stock market online course begins together the ideal blend of in-class principles to begin mastering investing along with the hands-on current real-world stock exchange stimulation. The revolutionary methodology focus on simple to follow and enjoyable stock market curriculum. Another benefit of online courses is to study at your own schedule, anywhere, and anytime. Therefore, you can come up with own personal trading choice with assurance as soon as you learn to positional trading. Visit the page Stock Market Course for Beginners to sign-up for a best online course. A stockbroker buys and sells commodities on behalf of clients. The clients can be in the form of individuals or institutions. Stockbrokers in return receive a commission which is a compensation for making transaction for the clients. Due to the complex nature of factors, stock brokers must pass exams to become licensed to legally trade securities. Thus, a stockbroker needs to earn a degree in order to compete in a competitive marketplace. Stock market course for professionals is a 3-month program. To become a professional trader you must learn the trading and advanced basics. Once you learn the basics, you can learn proven strategies and gain experience in implementing them. The course is divided into three modules; including preparation and certification of NSE, certification of SEBI, and practical training. Certificate course in stock market covers 4 NSE modules. There are plenty of traders who achieved success in the stock market. While many of them managed to do it through experience alone. However, trading can be done without any training, generally is a risky approach to build an investment portfolio. This is why people often use services of financial broker instead of trading independently. 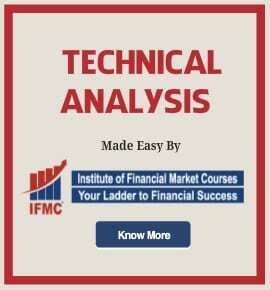 Professional Courses: IFMC is an accredited institute in banking and financial sector courses. The institute overseas that skills are passed on through these courses. Adequately, prepare individuals to engage in the financial market either as a broker, consultant, banker, or trader. By completing, a certification course in stock market individuals can succeed easily. Moreover, find meaningful employment in the stock market. Reduce Risk: Learning to trade in the stock market can be harrowing for beginners. Especially, new investors can unlikely to spot the best trade opportunities at first. Also, do not have the necessary capital to take the risk. Many beginners traders have been put off due to market uncertainty and initial losses. Thereby, with formal stock market training, individuals can learn to overcome challenges and gain confidence. Empower to Make Decision: The most notable reason to take a certification course is to strengthen decision marking power. It will allow you to make an informed investment decision. For instance, will empower you with a range of tools and techniques needed by investors looking for success. Furthermore, individuals gain opportunities for interesting employment in the financial sector. The top stock market institute in India offers a comprehensive range of courses. Choosing the right one can be a bit overwhelming for many. 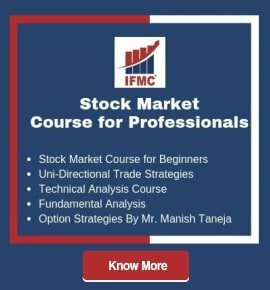 IFMC Institue is an excellent platform to build a career in stock market. Our range of courses will help you not only to find employment opportunities but also empower to become an entrepreneur. However, if you do not have time to sit in a classroom, stockbrokers can select an online stock trading course. Every online stock trader program is hybrid and can be taken from anywhere.